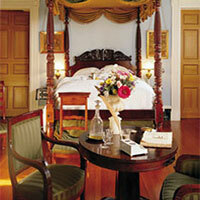 New Orleans has many tours perfect for families! With so many sights to see, we recommend letting a local take you and your family on a tour. Ride through the city on a bike, stroll along the streets in a carriage, or walk along the sidewalks as you explore your surroundings and hear the history behind the buildings. Explore the fun side of New Orleans with your kids when you roll around town on a Segway. 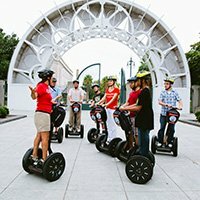 You’ll experience all of the famous French Quarter sights and sounds as you glide through the streets on the unique self-balancing device courtesy City Segway Tours of New Orleans.Coupon Available! 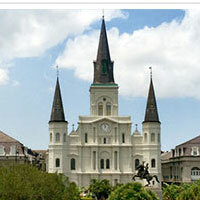 Discover New Orleans with Gray Line's Super City Tour! You'll learn the city’s history, see its landmarks and hear about its legends. 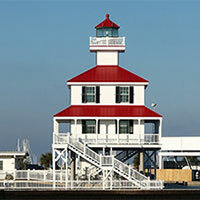 Kids will enjoy a ride along the shore of Lake Pontchartrain and through Audubon Park. After walking through one of our above-ground cemeteries, you'll ride through City Park, the fifth largest urban park in the United States. Coupon Available! 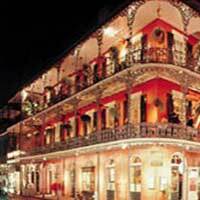 Looking for a fun, informative way to see New Orleans? 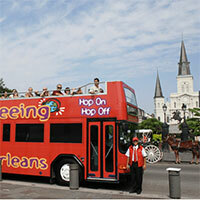 Ride around the city and visit popular destinations in City Sightseeing New Orleans’s exciting open-top, double-decker bus. With City Sightseeing New Orleans, the busses come every 30 minutes, and you can hop on and hop off wherever you and your family would like. Sightseeing New Orleans can take your family to the best art galleries, historic sights, museums and shopping stops throughout the city. This fun and informative morning tour takes visitors from the river to the lake. As the tour winds through the many neighborhoods of New Orleans tourists are regaled with stories of yesteryear. The tour stops at an above-ground cemetery, City Park, the Lighthouse and more. Coupon Available! French QuarTours is a tour company that focuses on kids! In 90 minutes, your kids will discover how New Orleans became the culturally rich city it is today. They’ll learn about specific enslaved children and how they arrived in New Orleans. They’ll learn how girls were educated in the 19th century compared to today. They’ll will even learn about the strange healing remedies from the 19th (a favorite, thanks to the ick factor.) Tours are recommended for kids aged 6-13, but adults will find themselves captivated, too. Does your family love scary stories? If so, then they will love Gray Line's newest tour! 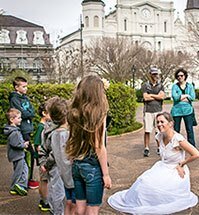 New Orleans is an old city, and the kids will be delighted as a guide tells the tales surrounding many of the houses in the French Quarter. The kids will learn about infamous French Quarter denizens, who are often thought to still be around today, but in ghost form. In the second part of the tour, the family will get to visit one of our famous above ground cemetaries, or as we call them, the Cities of the Dead. The kids will see the variety of tombs and learn about the people who inhabit them. They'll even receive a little "lagniappe" on each tour. Coupon Available! Are you ready to be taken back to the glory of the Old South? 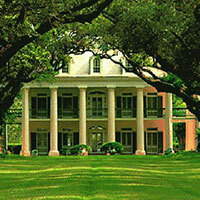 Gray Line offers tours of Laura: A Creole Plantation and Oak Valley Plantation. No matter which one you choose your family will be taken back in time to a bygone era for a fun-filled afternoon. Coupon Available! Spend a day along the River Road with Cajun Encounters as they travel back in time to Laura: A Creole Plantation AND Oak Alley Plantation. That's right: visit both historic landmarks on this tour of epic proportions. Kids of all ages will enjoy this tour that effortlessly combines history and adventure. 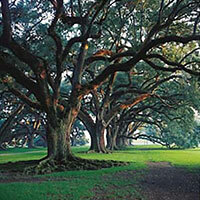 All you have to do is choose the plantation and Cajun Pride Swamp Tours will take care of the rest. 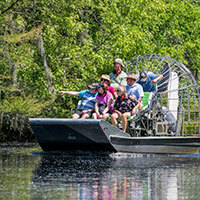 Combine your Plantation Tour with a Swamp Tour for an unforgettable family vacation. Coupon Available! 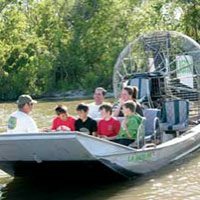 Take a thrilling ride through the wetlands surrounding the town of Jean Lafitte. This narrated journey takes families through bayous and open waterways. This tour is so fast and exciting pregnant women and children under 5 are prohibited making it a great option for families with tweens and teens. Coupon Available! 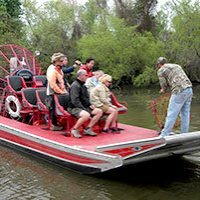 Run by three generations of bayou fisherman, their tour guides are born, bred and still make a living in the same swamps you'll be touring. See alligators, blue herons, glorious old oaks and more as you glide through the beautiful bayou waterways. Their knowledgeable staff will answer all of your questions and help you make amazing memories. 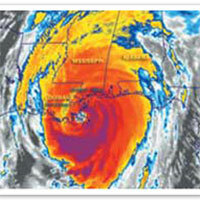 Give your kids a better understanding of the events leading up to Hurricane Katrina and following the disaster. This educational tour from an eyewitness takes you past a levee the broke and through the neighborhoods affected. Coupon Available! Click Here for More Tours!